Cospa is good and performance is enough. We use more than 100 pieces until now, but there is no problem in particular. This review is about item#39167737. The flange unit is used in a dusty environment, but the shield seal is solid. This review is about item#87172111. 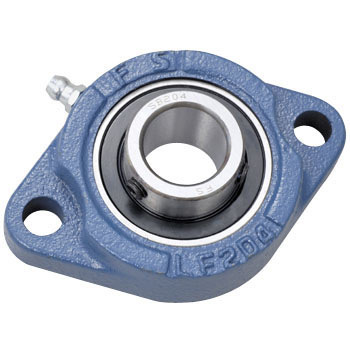 We exchange each flange unit when the bearing is broken. Because it is cheap and easy to exchange, we have ordered all the time. It was saved because the dimensions were accurate as a catalog and could be produced with no difficulty in installation. This review is about item#39167746. There is absolutely no problem such as accuracy. I am saved because the price is cheap. This review is about item#87172127. I have not set it yet, I have not used it for a long time, but I think that there is no problem on the appearance, I think that it is cheap and good because the rotation speed is also about 15 rpm. I use a pulley on the machine under construction, but I use it for its bearing and fixing. The price is useful and useful. However, I think that the side is too big. And if it receives a shaft, it will tilt as you put in force, so if you accidentally accidentally install it, you may install it while tilting it. It is not inferior to major manufacturers. After that, it is durability only. Cospa is outstanding. It is necessary and sufficient product. Just because there are fewer sizes than NTN, please increase it. Continuous purchase depends on durability.